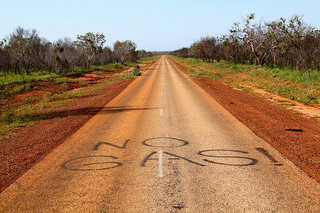 Near Broome, the fight continues to prevent Woodside Petroleum and its partners constructing a massive gas liquid natural gas processing plant. The proposed site for the project at James Price Point takes in sites sacred to the traditional owners, and environmentalists say it will have a devastating impact on local wildlife and environmental heritage. Things have been largely quiet at James Price Point over the wet season, when little work could be done. But coming into the dry season, the standoff between Woodside, protesters and the police has been heating up again. And last week was a most spectacular start. The Third Degree’s Simon Unwin spoke to Glen Klatovsky, National Kimberly Campaigner for the Wilderness Society. One of the most recent reports released by the UN’s Intergovernmental Panel on Climate Change warns that the risk of extreme weather events around the world is increasing at a rapid pace. This is of particular concern for the nations of the global South, who in many cases lack the resources to respond to such emergencies. Albion Harrison-Naish discussed the report with Phil Ireland from Oxfam Australia.